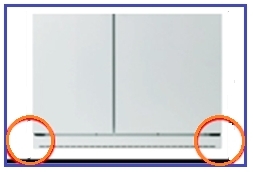 How to level a Samsung side-by-side Refrigerator? a) Select a proper location with mat cover for installation to prevent the floor from any damage. 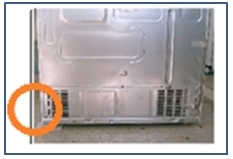 b) If the back of the refrigerator is not leveled, make sure to put a hard insertion (ex: wooden block , plastic bar) on the lower side and fix it with sticky tapes. 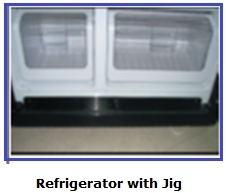 c) Try to let both rear side of the refrigerator touch the floor,lift up the unit a little and insert the jig. 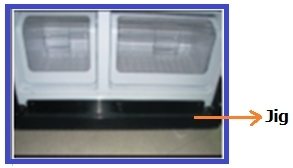 d) With the help of a flat driver, let the legs of the refrigerator touch the floor. 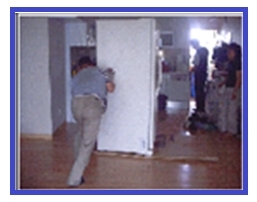 e) Settle the Refrigerator unit entirely on the floor and pull out the jig. 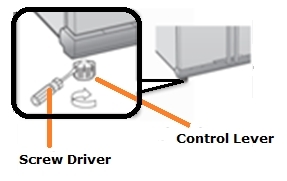 f) Turn the adjusting screws clockwise or anti-clockwise to make the door level even. Note: Make sure that the lock nut on the adjusting screw is entirely fixed. 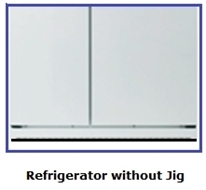 How to adjust the level of the refrigerator. How to connect the water line to the Refrigerator?